Disclosure: This is a sponsored post on behalf of Shake Shack; all opinions expressed are my own. Do you remember the first time you went to Shake Shack? I do. When I was living in NYC a friend mentioned to me she had recently gone to the original location in Madison Square Park for the first time and that it was so good that she had returned for subsequent visits - like 3x in 1 week! I was alarmed and had to go for myself. I did, and I was HOOKED! I've since gone to locations across NYC-metro, in D.C. (remember this visit?) and now here in Boston. 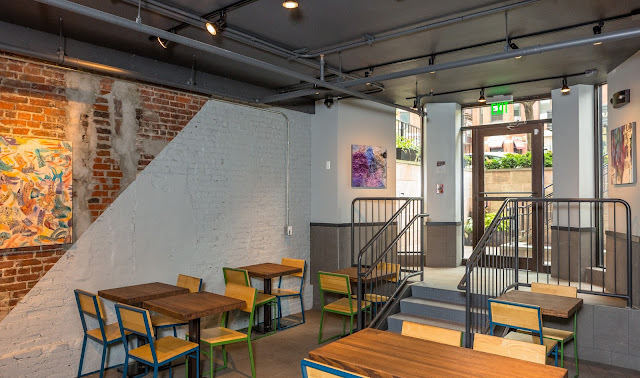 When the Shake Shack team reached out to me sharing the news that the Newbury Street location has a new, private function room that you can rent I was thrilled to learn more about how I can enjoy all the delicious goodness surrounded by my favorite people in an intimate space. What's better than Shake Shack, family and friends all in one location? 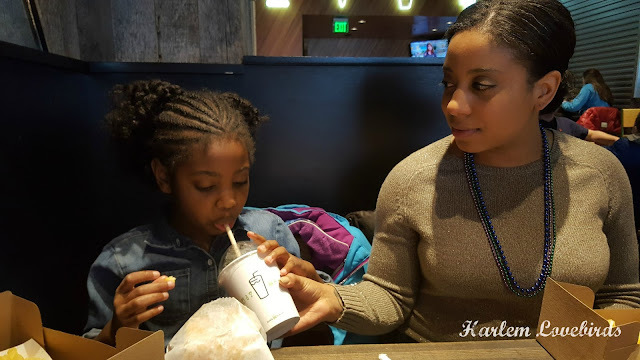 Last weekend when my sister was in town we had a special family field trip to the Shack Shack near us, and the kids were sooooo patient while I did "blogger grace:"
The limited edition Mint Chocolate shake was my favorite, and I was a good mom, sharing it with Nia! She tried the also limited edition Chick'n Shack, while Grayson devoured just the crunchies - the best part, right? I'm so glad Shake Shack's kept their signature crinkle cut fries, and while I'm often tempted to get them loaded with the cheese sauce, I stuck with the plain ones. Shake Shack is known to get crowded which is why the function room is so appealing to me. 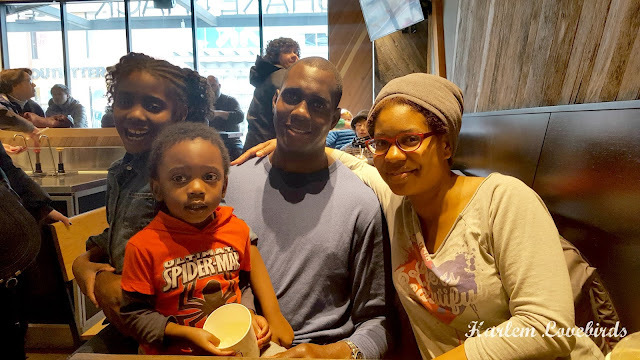 Coming from Portsmouth, NH to Boston the kids have 6 little cousins close in age here, and future Shake Shack parties would be a wonderful birthday party plan! 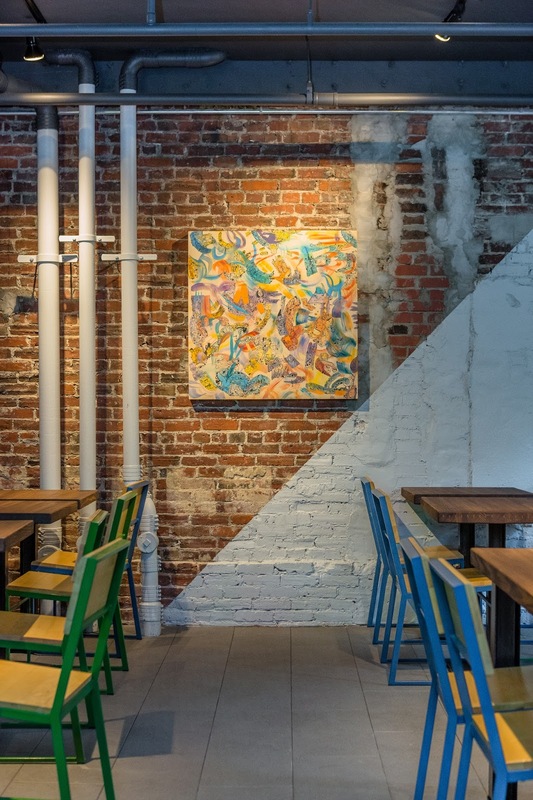 The fun-filled and relaxed atmosphere has exposed brick walls and locally sourced art from Artists for Humanity. 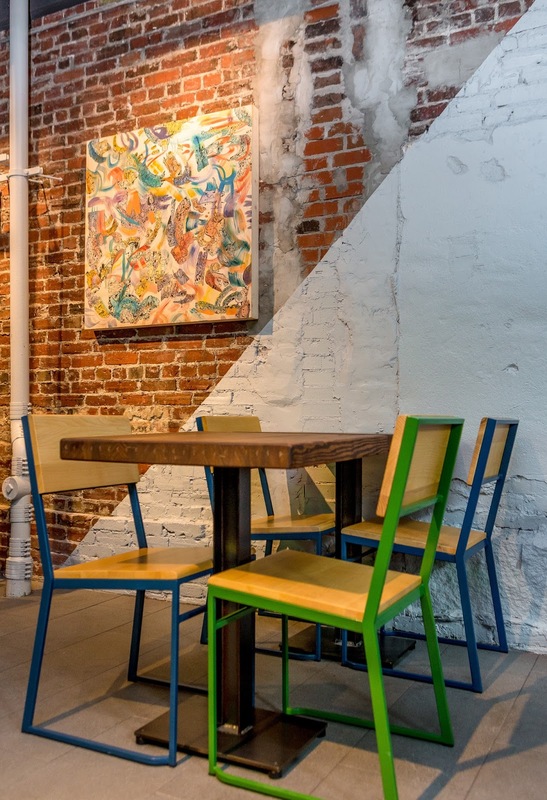 It can accommodate 20-40 guests. 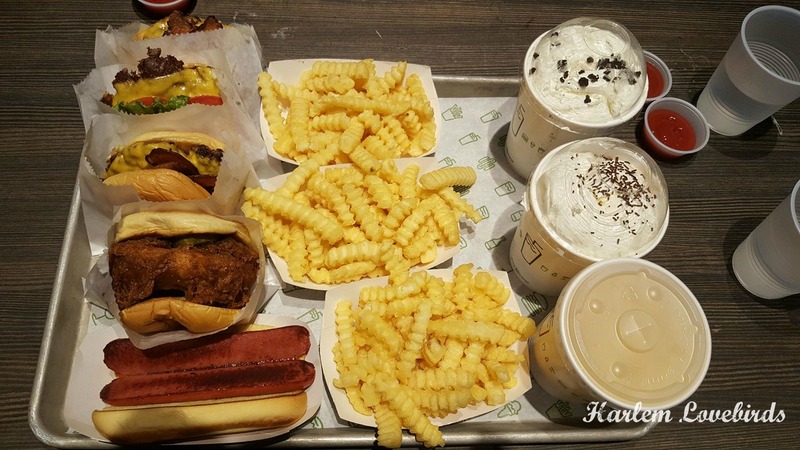 You can choose from a full range of Shake Shack favorites, including the Shackburger, fresh-brewed lemonade, 100% all-natural beef flat dogs and creamy frozen custard, malts and shakes. For parents, Shake Shack can also offer alcoholic options, including its exclusive ShackMeister ale and red and white wines by Frog’s Leap. There is also an HDTV available for guests to bring their own slideshow or any other audio-visual component. Room fees begin at $750 Monday through Thursday, and $1,000 Friday through Sunday for 90 minutes (additional hours will be half the price per 60 minutes). Rates for each guest start at $25 for all-inclusive food beverages and desserts, excluding alcohol and $40 per guest with an alcohol package. Have you ever been to Shake Shack? What do you like to order?